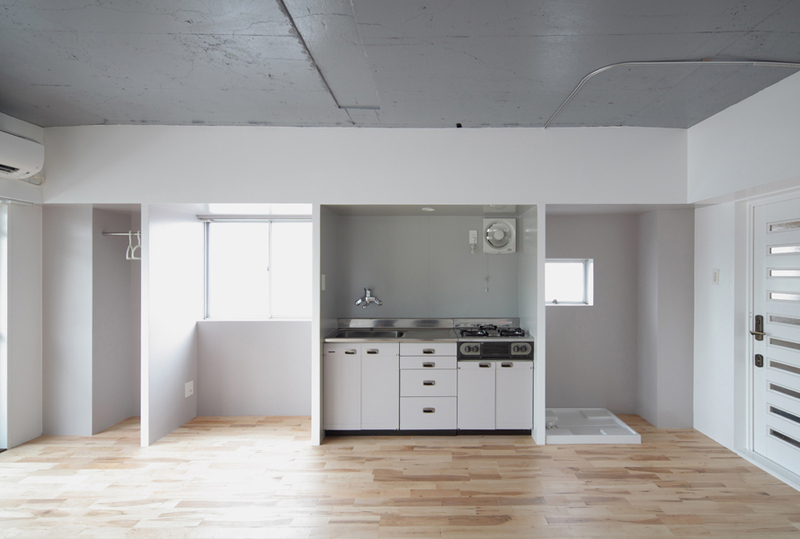 This was a renovation project for a rental apartment unit. As the ratio of those who remain single throughout their lives increases, there will likely be a greater need for studio apartments for single, working adults. 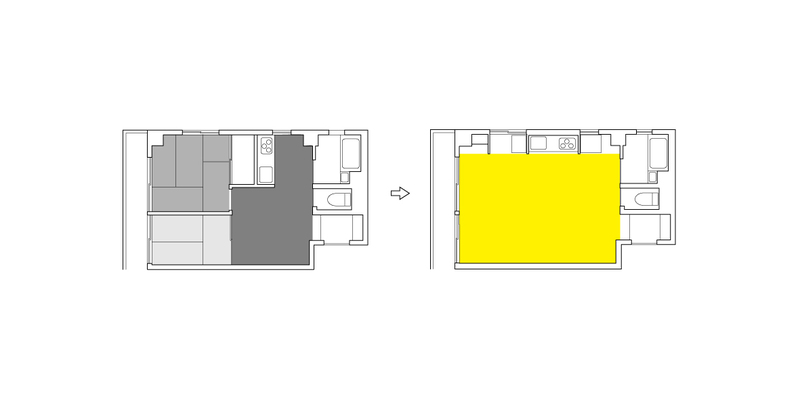 For this project, we renovated a 2DK (2rooms + dining/kitchen) plan into a slightly larger, one-room studio. The closet, kitchen and washing machine spaces are gathered together by the wall; above it is the piping and wiring space. This allows the walls to be flat without any protruding columns. The ceiling is also removed to increase floor height. The kitchen and existing fixtures are repainted and reused. This project proposes a means of renovating a 40-year old apartment into a simple, highly flexible one-room studio with the greatest possible capacity, in order to meet the needs of the modern age.